Why do we care about universal waste? Universal waste is a subclass of hazardous waste and is called “universal” because at some point, most everyone, including healthcare facilities, generates it. Though universal wastes are not regulated as strictly as RCRA hazardous wastes, they do require special disposal and treatment. Even if you do not generate any other types of regulated wastes (RCRA hazardous, infectious, etc. ), you still need to ensure you are following the laws regarding universal waste. Most of the time, healthcare facilities already have a current hazardous waste identification number (HWID) through the Minnesota Pollution Control Agency (MPCA). If you do not have this and you are storing more than 11,000 pounds of universal waste at your site, you’ll need to obtain a license by visiting the MPCA’s Hazardous Waste Licensing page. You may also visit the MPCA’s factsheet Managing Universal Wastes for more information about the laws and regulations regarding disposal. Note that any company who is providing removal services of universal waste must provide you with a hazardous waste manifest. These manifests should be kept alongside your RCRA hazardous waste manifests. Some counties may require you to report the amount of universal waste you generate on an annual basis. Electronics waste (e-waste) and PCB-containing ballasts are both considered hazardous waste by the MPCA, but are not specifically designated as universal waste. However, the disposal of e-waste and PCB-containing ballasts is managed in much the same way as universal waste, so information about these wastes is included on this webpage. 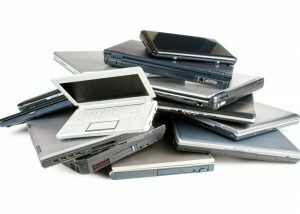 For greater clarity on universal waste versus e-waste, visit the MPCA’s Managing Electronic Wastes page. The primary environmental concern with universal waste is the heavy metal components that can easily contaminate the land and ground water (such as lead, mercury, and other elements that can be toxic to humans and the environment). In addition, all heavy metals are easily recyclable, so it makes no sense to throw metals into a landfill when they can be reclaimed and recycled. For this reason, you will usually hear universal waste disposal companies referred to as recyclers. On the topic of electronic waste (e-waste) dumps in particular, PBS’s Frontline produced a documentary called Ghana: A Digital Dumping Ground about the export of e-waste from developed to developing countries, creating toxic living conditions. Since the documentary was released, there has been much greater scrutiny of e-waste disposal practices in the U.S. and around the world. If you are unfamiliar with this “hidden” world of e-waste dumping, it may be eye-opening to watch the 20-minute video, which will explain the problems associated with these wastes in more depth than we can provide on this webpage. The U.S. Environmental Protection Agency (EPA) maintains statistics on the management of used and end-of-life electronics (see table below). As you can see, less than half of the electronics disposed of in 2009 were collected for recycling. Further, it is unclear how much was recycled in an environmentally and civically responsible manner. For more information on responsible e-waste recycling options, visit the environmental best practice for managing universal waste section at the bottom of this webpage. When they reach end of life, appliances, including refrigerators, ice makers, television sets, printers and scanners, and washers and dryers, should be sent to your universal waste recycler. Hennepin County maintains a list of Hazardous Waste Disposal Companies who pick up and recycle this type of waste in the metro area. For those in greater Minnesota, your county government offices should be able to provide you with names of recycling companies. You can also visit the Minnesota Recycling Markets Directory to find recyclers. If your item is still in good working condition, you can list it for reuse on the Minnesota Materials Exchange. Distinctions should be made when discussing battery recycling, as there are different rules for the different types of batteries used in healthcare. These are your common household batteries, such as alkaline AA, AAA, C, D, 9V, and the small lithium batteries that look like buttons (commonly found in watches and hearing aids). Alkaline batteries no longer contain mercury and are not considered hazardous (button cell never were). However, both alkaline batteries and lithium “button cell” batteries are easy to recycle and it is environmentally preferable to collect these batteries for recycling by your universal waste recycler. The best way to collect them is to set up a bin or box labeled “batteries for recycling”. When full, your hauler can take the bucket with your other universal wastes. These are batteries such as nickel cadmium, lithium ion, sealed lead acid, and nickel zinc. They are used in an array of healthcare-related equipment such as biomedical devices, digital cameras, cordless phones, and uninterrupted power sources (UPS). 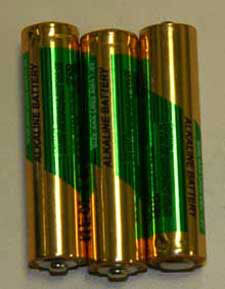 These batteries are considered hazardous under universal waste law and must be managed by a universal waste recycler. As an alternative, you may contact the Call2Recycle program, which is a service funded by large battery manufacturers. Their program will recycle, for free, rechargeable batteries (and cell phones). You order an empty box, and when it’s full, ship it to them at no charge. Though it is unlikely that you generate automotive lead acid battery waste at your facility, you may have lead acid “wet cell” batteries from applications like emergency lighting, alarm systems, or industrial equipment. If you do, a universal waste recycler should be able to handle them for you. An alternative would be to see whether the manufacturer will take back the battery for recycling (this ‘take-back’ is required by law for automotive battery retailers). For more information on batteries and battery recycling, visit the EPA’s webpage on universal waste and scroll down to the section on batteries. In Minnesota, waste electronics, also called “e-waste,” must be appropriately managed and recycled, which means that they may not be disposed of as solid waste (e.g. dumping, landfilling, or incinerating). All parties, including business, nonprofits, schools, and households, are required to follow e-waste rules. Recycling e-waste allows for the reclamation of toxic heavy metals like lead, cadmium, mercury. To learn more about why we recycle e-waste, visit the topic why do we care about universal waste. When we discuss e-waste in healthcare, we must remember that much of the e-waste has at some point stored sensitive patient information. 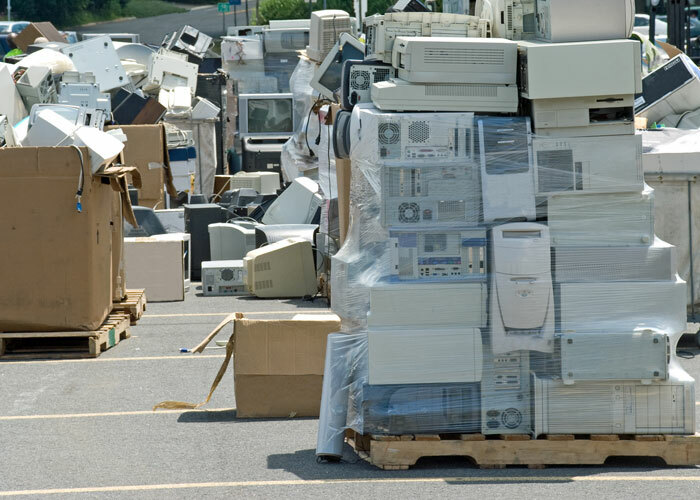 The U.S. EPA and MnTAP recommend the use of certified electronics recyclers, meaning the recyclers have met specific standards to safely recycle and manage electronics. Currently, two accredited certification standards exist: the Responsible Recycling (R2) Standard and the e-Stewards standard. Visit the environmental best practice for managing universal waste section for information on environmental certifications for e-waste recyclers, especially if you are looking for companies who pledge not to send e-waste overseas. Only use e-waste recyclers when they can verify, in writing, that hard drives are destroyed before or during the recycling process. MnTAP cannot provide a recommendation for any one company, but a good question to ask is whether they can provide you with a legal certificate of destruction, much like a confidential document company would. In fact, many of the confidential document companies also provide e-waste destruction and disposal services, so this may be a good option for you as well. It is generally not a good idea to donate used electronics that stored confidential information to charity organizations unless your Information Technology (IT) department can guarantee that the hard drives have been wiped clean with no way to retrieve the data. TVs, printers, and appliances that are in good working order can be donated; more on that topic is available under the appliances section of this webpage. For more information on e-waste disposal in general, please visit the MPCA factsheet Managing Electronic Waste. Lead waste is found in a few different places in healthcare. Lead vests and aprons used as shielding (in radiology/imaging areas) are the most common, along with the lead-lined walls and doors used in some imaging rooms. Lead foil tape may also be used in your facility services department. Lead cannot be disposed of as solid waste; however, it can be reclaimed as scrap metal if you find a scrap yard that will accept it. 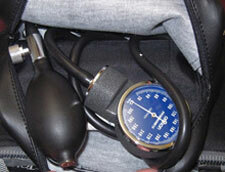 Most of the time, you will need to send lead-based healthcare items to your universal waste recycler. Hennepin County maintains a list of Hazardous Waste Disposal Companies who pick up and recycle lead in the metro area. For those in greater Minnesota, your county government offices should be able to provide you with names of companies that provide this service. Distinctions should be made when discussing lighting, as there are different rules around the different types of lighting used in healthcare. These sometimes have coiled bulbs (some now resemble incandescent bulbs). They are a fluorescent bulb designed to fit into incandescent light fixtures. Though they are extremely energy efficient compared to incandescent bulbs, they also contain mercury, making them a universal waste. Minnesota requires that you keep your spent CFL bulbs in a closed container until they are ready for pickup by your universal waste recycler. This prevents the release of mercury vapor should a crack or break occur in the bulb (you should make every effort not to break CFL bulbs in the first place, so be gentle when placing them into your closed container). These include straight tube lamps (such as T8 or T12 lamps), high-intensity discharge (HID) lamps, and their associated ballasts. Other fluorescent lamps may include U-shaped or circular bulbs. 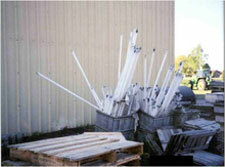 Fluorescent lamps and HID lamps contain mercury and must be managed as universal waste. Minnesota requires that you keep your spent fluorescent lamps and HID bulbs in a closed container until they are ready for pick-up by your universal waste disposal company. This prevents the release of mercury vapor should a crack or break occur in the bulb (you should make every effort not to break the lamps in the first place, so be gentle when placing them into your closed container). Ballasts are a device used in conjunction with both fluorescent lamps and HID bulbs that limit the amount of electrical current running to the bulb. Though ballasts are no longer manufactured to contain PCBs and are not considered to be hazardous, they are easy to recycle and should be collected along with your fluorescent lamps and sent to your universal waste recycler. Note that if your ballasts were produced before 1979, they may still contain PCBs and must be managed in your universal waste stream. These may be found in operating rooms, exam lights, and ceiling spotlights. They are slightly more efficient than incandescent bulbs. They are not hazardous waste. Unfortunately, they cannot be recycled and when burned out should be individually bagged and thrown into your solid waste stream (regular trash can). These are the light bulbs historically used in homes, decorative lamps, and so on. They are not hazardous waste. Unfortunately, they cannot be recycled and when burned out should be individually bagged and thrown into your solid waste stream (regular trash can). They are also not as energy efficient as CFL or LED bulbs, so environmental best practice is to replace burned-out incandescent bulbs with CFLs or LEDs. LED bulbs are becoming an increasingly popular alternative to both incandescent and CFL bulbs. They do not contain mercury and are the most energy efficient bulbs available on the market. Though they initially cost more than CFL bulbs, the upfront expense often pays off in the long run (see our section on environmental best practice for managing universal waste). Though LED bulbs are not hazardous, they do contain electrical components, and the MPCA requires that you dispose of them along with your electronic waste (or via your universal waste disposal company). Mercury is a neurotoxin, and the hazards it poses to humans and the environment are well-documented. The U.S. EPA created a Hazards Summary for Mercury Compounds and offers a thorough explanation of mercury’s dangers on its Mercury Health Effects page. The most common human exposure to mercury is through contaminated bodies of water; industrial pollution releases mercury into the air, where it eventually falls to the earth in the form of rain and accumulates in lakes, rivers, and oceans. Small fish then become contaminated with methylmercury (a chemical reaction that occurs when mercury and water meet), and those small fish are ingested by larger and larger fish, bio-accumulating in the tissues of the fish until they are consumed by humans. The Minnesota Department of Health offers Fish Consumption Advice, and efforts are made in healthcare to educate patients, especially children and pregnant women, about the dangers of eating too much contaminated fish. Mercury-containing thermometers have not been banned outright, but in healthcare facilities they have been overwhelmingly replaced by the digital variety. The above bans were implemented between 1997 and 2008, which means it is likely that your healthcare facility still has some mercury-containing devices onsite. When replacing these devices with newer models, the older (mercury-containing) devices must be managed as universal waste. Any mercury-containing device being sent for disposal should be well-insulated to prevent breakage and stored in a closed container until picked up by your universal waste recycler. Some universal waste recyclers will not accept mercury-containing devices, and in this circumstance, you should contact the hazardous waste disposal company you use for RCRA hazardous waste. There are other situations in healthcare where mercury may be present, specifically in some clinical laboratory chemicals and in dental amalgam fillings. Please visit MnTAP’s Dental Amalgam and Clinical Laboratory Waste for more detail on those wastes. Finally, there are several tools to assist healthcare facilities with eliminating mercury. If you have not yet made an effort to phase out mercury within your facility, please visit Practice Greenhealth’s Mercury Elimination Tools & Resources page for helpful materials. Maintenance and grounds departments are often generators of used oil and paint in healthcare facilities. Neither fluid can be poured down the drain or placed in the trash. Oil should be collected in a drum or other form of appropriate containment, and the container must be closed at all times unless oil is being added. You can haul it yourself to a collection site; many require a fee for disposal and must provide you with a receipt for the transaction. Keep all receipts with your other hazardous waste records. You can reuse the oil in your own equipment (as long as it is not being reclaimed beyond its normal filtering life). You can use a Used Oil Transporter as long as they are registered with the MPCA. You are allowed to launder oily rags onsite or via a commercial launderer, as long as the discharge is to a sanitary sewer (POTW) and not a septic system. 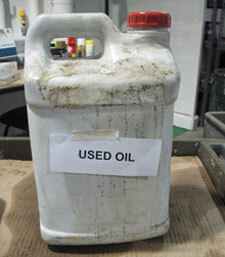 For more information on used oil, visit the MPCA factsheet Used Oil and Related Waste. If it is latex paint and the can is empty to the best of your ability, you may air-dry the empty cans and dispose of the dried-out cans as solid waste (in your regular trash). If it is latex paint and there is still free-flowing paint in the can (that you cannot use), visit the Rethink Recycling page (geared toward the Twin Cities) for a list of facilities that may accept this waste. If it is latex paint, it is still free-flowing, and it cannot be accepted by anyone in your area, you’ll need to manage it as part of your healthcare hazardous waste (RCRA) program. If it is oil-based paint, you’ll need to manage it as part of your RCRA hazardous waste program. The good news is that beginning in 2014, there is an initiative in Minnesota to provide a stewardship program to offer better disposal options to businesses and households. For updates on the stewardship plan, visit the MPCA’s PaintCare Minnesota webpage. Unique to the dental industry is the disposal of amalgam fillings. Click here for information on amalgam separators, recycling, and reduction of this waste. Radiology and imaging clinics produce unique wastes that must be managed properly. Click here for information about radiology and radioactive wastes. At home, it is important to recycle your e-wastes and other universal wastes. Most of the time, your county will have information on how to recycle these wastes properly. Some communities have a free pickup day, while others have a permanent drop-off facility. Sometimes, there are free events or ongoing programs at electronics and hardware stores in your area. Universal waste is one of the easiest waste streams to recycle, and many opportunities exist for your patients and community to keep these items out of a landfill. A little research will go a long way in finding good disposal options in your area. In the Twin Cities area, try Rethink Recycling as an easy way to track down recycler information. There are two leading certifications for the responsible management of electronic waste, also known as e-waste. As described in the section why do we care about universal waste, if not managed properly, electronic waste can contaminate the environment and pose a danger to human health. E-Stewards is a certification system for electronic waste recyclers. It demands that these recyclers manage e-waste responsibly, such as not sending it overseas and ensuring that all hazards are controlled and managed. For a complete list of what an e-Stewards certified recycler commits to, visit the What is the e-Stewards Standard? page. The R2 Standard is another certification system for electronic waste recyclers and offers certification to recyclers and refurbishers who commit to environmental responsibility and worker safety. The U.S. EPA refrains from endorsing one certification system over the other; however, they do offer additional information about both e-Stewards and R2 on their webpage certification programs for electronics recyclers. EPEAT is a program that began with a grant from the EPA and is now managed by the Green Electronics Council. The EPEAT rating system applies to computers, imaging equipment, and televisions, and gives a rating (bronze, silver, or gold) based on a number of factors, including reduction of environmentally sensitive materials, end-of-life design, product longevity, energy conservation, corporate performance, and packaging choices. Manufacturers can choose to have their products evaluated for an EPEAT rating and can publish their EPEAT rating to consumers. Most of the large electronics manufacturers use EPEAT to some degree, so the next time you are in the market for office or electronic equipment, consider purchasing models that are EPEAT-rated. Visit the EPEAT Registry Search for available products. For more information on EPEAT in general, visit the EPA’s environmentally preferable purchasing section. Though you are not required to do so, there are valuable metals in these types of batteries. Best environmental practice is to collect these batteries for recycling with your universal waste recycler. This is very simple to do; set up pails or boxes labeled “battery recycling” – you may be surprised by how many you collect. You can also encourage your staff to bring in used batteries from home. It is inexpensive to recycle batteries and should thus be encouraged at any opportunity. That said, you should be particularly careful about HIPAA – which means it may not always make sense to donate computers or laptops (anything with a hard drive) from healthcare facilities. However, there are good opportunities to donate items like appliances, medical equipment, computer monitors, keyboards, and other accessories, as long as they still have a useful life, are in good working condition, are clean, and your intent is that someone can actually use the items (not just a free way to get rid of your junk). You can list items for reuse on the Minnesota Materials Exchange. According to the U.S. Energy Information Administration, lighting accounts for approximately 21% of electricity consumption in the commercial sector (including hospitals, clinics, etc.). Increasing lighting efficiency with CFLs, LEDs, and other efficient lighting options will help you save money and reduce your electricity load. Minnesota Energy Smart, a program funded by the large utility companies in our state, offers audits, technical assistance, and rebate assistance for lighting upgrades; visit their website for more information.